Purina will donate $1 to the Petfinder Foundation for every pet photo or video uploaded to www.PureLoveForPets.com. 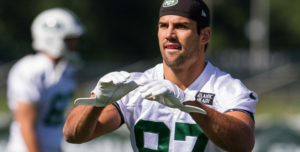 May is National Pet Month and Jets wide receiver Eric Decker and his wife Jessie James Decker, both big pet lovers, helped launch the Paw It Forward movement last week in a partnership with Purina to kick off National Pet Month. A pop-up pet park featured in the heart of Manhattan, at the Flatiron Pedestrian Plaza, was open to the public throughout the day. Guests brought their pets and guided them through an array of obstacles, including an agility course and bubble machine station. 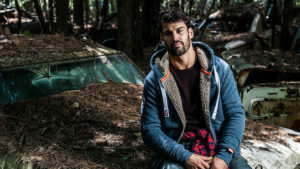 The Deckers were on site to pose for photos and explain more about the movement, which encourages pet owners to spend more quality time with their pets, as well as take action to help pets in need. To continue reading, please visit APP.com.